Pregnant Khloé Kardashian is over the moon about her little sister Kylie Jenner and Travis Scott’s brand-new baby. Jenner’s fans are in social media heaven right now after her long hiatus from the public eye. She never confirmed her pregnancy, though it was pretty much the worst-kept secret on the planet for a little while there. Her baby reportedly arrived on Feb. 1. The 11-minute video showcasing Jenner’s pregnancy journey also features a cameo from Kim Kardashian West and Kanye West’s newborn daughter. In one scene, Kardashian West gently offers Jenner the baby girl, swaddled cozily in a blanket. “She’s so little. Did you figure out the name?” Jenner asks. “I think we’re going to go with Chicago,” Kardashian West says. Chicago West arrived via surrogate last month and will have bragging rights for being the first of this year’s crop of first cousins. The video is super-sweet — and did we catch something that the internet missed? We’re pretty sure we hear in one scene a DJ introducing her as “Kylie Scott” — and we can’t help but wonder if there’s another announcement in the works. One thing is for sure: Keeping up with the Kardashian-Jenner clan is seriously a full-time job. 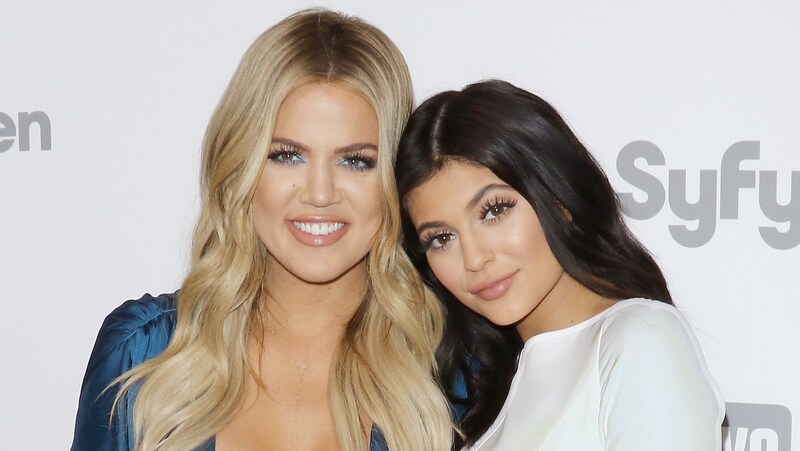 “Love you little mama,” big sis Khloé Kardashian concluded her post celebrating Jenner’s new arrival. “Love, big mama.” Now the Khloé Kardashian countdown starts in earnest.